Discover a number of immigrant stories up close and personal at our Document Discovery Program. 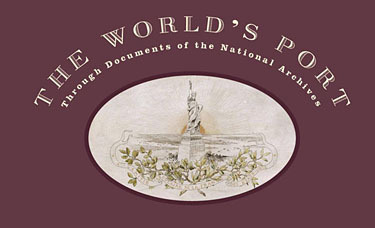 Staff will be sharing facsimile National Archives documents about Immigration, Ellis Island, and New York. Visitors can learn about their immigrant heritage and ask staff questions about finding our immigrant ancesters using the holdings of the National Archives. No registration required. All programs are free. This program is in partnership between the National Archives at New York City and Ellis Island National Monument, National Park Service. Learn more about our immigrant experience with select records from The World's Port. 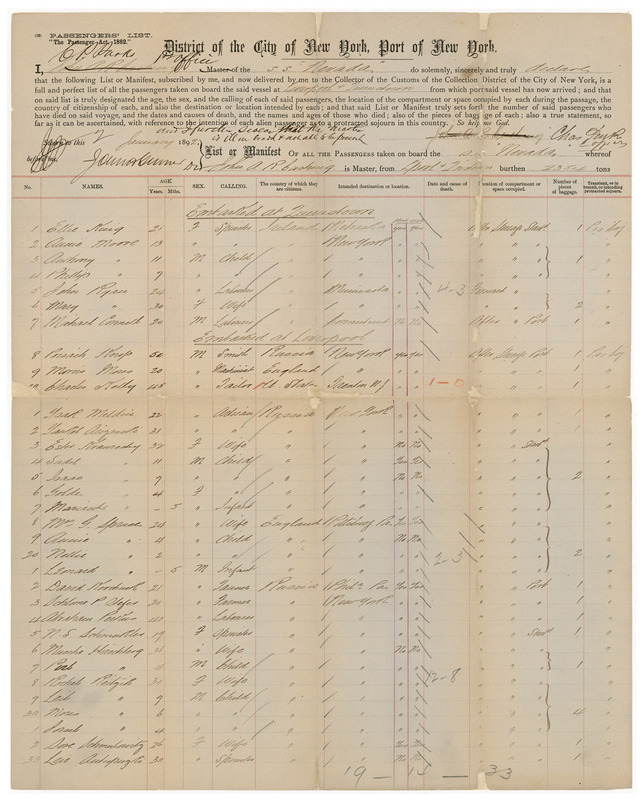 View Annie Moore's Passenger Arrival Record, the first person processed at Ellis Island, 1892.